The media has been full of stories about muslim terrorism. They believe that they are pleasing their god, and can quote the verses to prove it. Behind the scenes there is usually a cleric or mullah offering an inspiring doctrinal basis. Some point to similar acts of violence in the Spanish inquisition to make the point that all religion is bad. I believe in God, religion and church, yet I am most horrified when I look in the mirror at my own history… at the times when I thought I was being obedient and got pretty far off the path… at the times when my whole lemming herd was off the path… and I had no clue anything was out of balance. I was just a good soldier, carrying out my orders. Religion, in general, is widely understood to be an intellectual adherence to a moral code. It obviously gets translated to behavior or works. In Jesus’ day, the folks who stressed obedience the most were the Scribes and Pharisees, and it’s really surprising to see the strength of Jesus words and deeds to oppose them. He called them names and tipped some tables over in a temple. God’s Kingdom – One of the practical “rules” of the Kingdom is that nothing works on the basis of rules. This gets tricky for us intellectuals who show up to make a difference in our mountain with our minds and logic. Reformations degenerate into religions very quickly for lack of heart. Even when we have a good “reason” to do the “right” thing, if it doesn’t come out of the desires of our own heart, it can easily feel like “jihad” to those who experience our ministry (violent and unloving). Implementing someone else’s agenda outside of our own hearts qualifies normally good people to operate gas chambers and kill infidels. Intellectual obedience can disconnect us from our hearts and make us officially crazy. In psychology it is called dissociative behavior or multiple personality syndrome. We’ve all seen some really good people in some really good families and organizations do some really dumb things. We can see it in the mirror, too. Now you know why… good people disconnected from their own hearts and God’s heart. Getting it right – Evangelicals emphasize obeying the word of God (the Bible). Charismatics emphasize obeying the promptings of the Holy Spirit. We are not abandoning sound doctrine or the voice of the Holy Spirit. We are adding the most important ingredient of relating to the Father and working in His Kingdom. We have to give ourselves permission to pursue the desires of our heart. God wrote them there and they reside in His heart as well. Neither are we abandoning common sense or practical wisdom. Kingdom Christians who are finding their mountains are starting from their own heart’s desires. 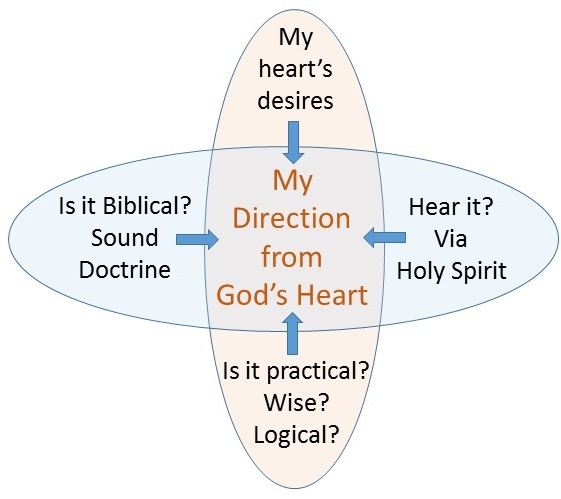 The direction and initiatives they take are examined through three other lenses: 1) Is it scriptural?, 2) Is the Holy Spirit confirming it?, and 3) Is it wise, practical and financially viable? That simple approach protects us from the dangers of mental obedience, yet keeps us out of emotional self-deception. It changes a few of our discipleship concepts too. Accountability – I’m holding you responsible to stay within (or move up to) the desires of your heart and to enjoy your relationship with Jesus, to stay within the bounds of your own conscience. 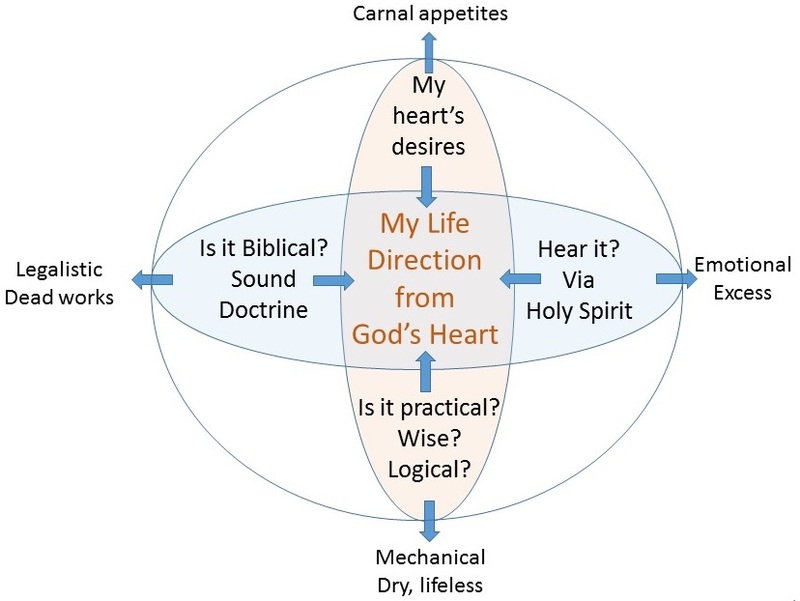 Those desires change as we mature, but our spiritual health always begins in the desires that God wrote in our hearts. Serving – We can involve ourselves in supporting the vision of another person, we just have to share it. It has to belong to us, too. I have to understand the heart of those with whom and for whom I work. When we hear “obedience” we should always hear obedience from the heart… something I want to do. Otherwise we disconnect, heart pulling in one direction and mind pulling in another. Leadership – I lead in the direction of my own heart’s desire. I’m doing what I love and I’m teaching those I work with to do the same. I’m telling them why, and looking for resonance and connection with their heart (instead of telling them to “Do What You’re Told”). Kingdom is being like a little child, always delighting in the desires of our heart, depending on our Father to keep us safe. Like play, it’s fun, adventurous, and relational. It always has the feel of being loved… far beyond our expectations. PS: we can also see the excess of getting our direction from just one source.